Georgio de Chirico. 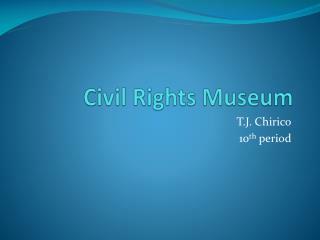 1888 - 1978. 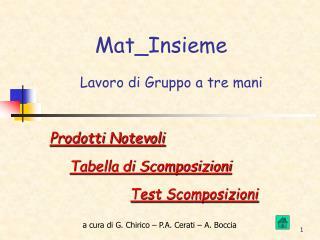 Cerveau. 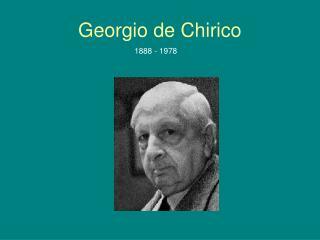 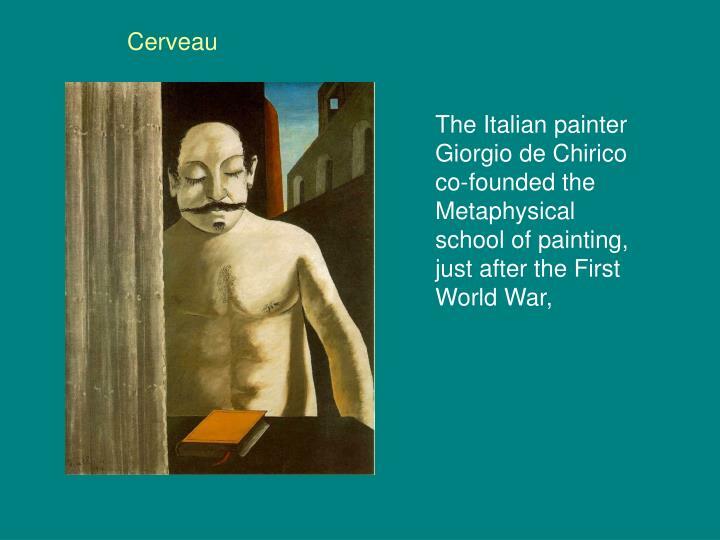 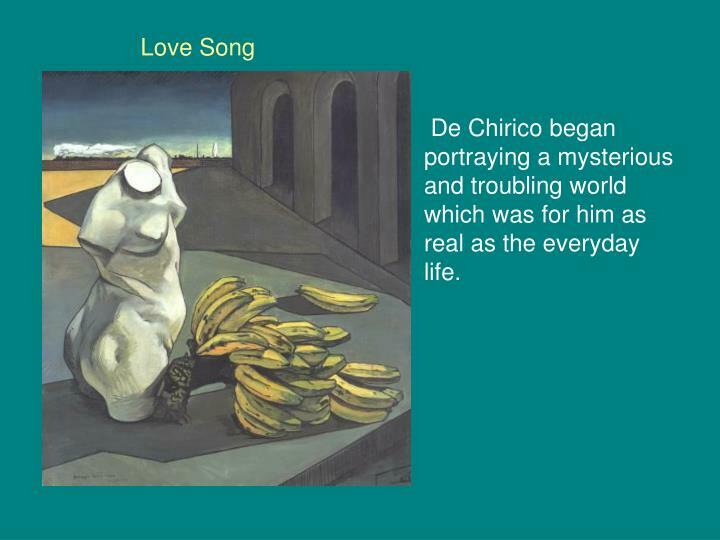 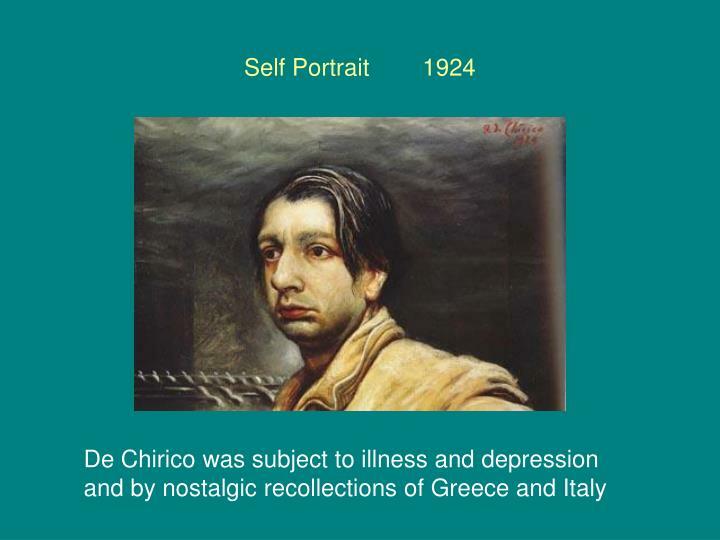 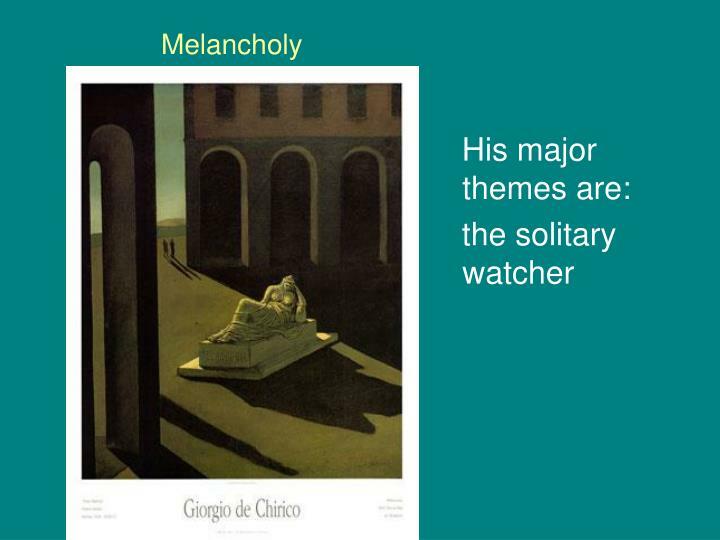 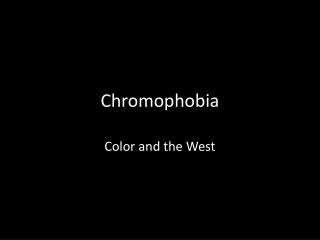 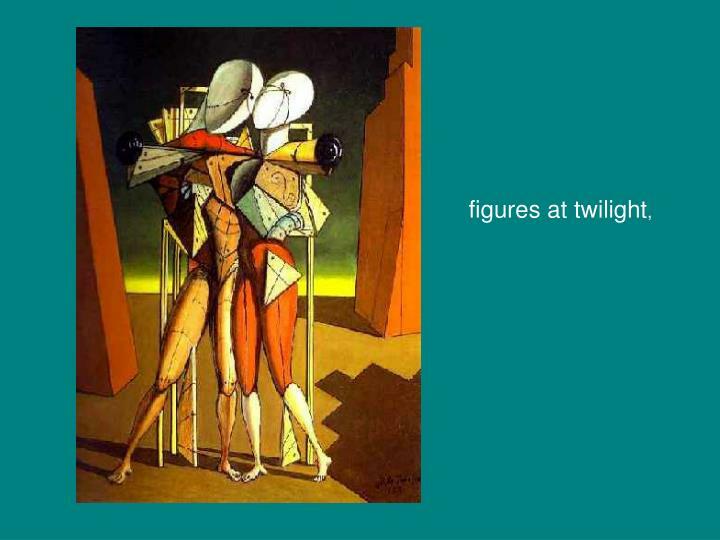 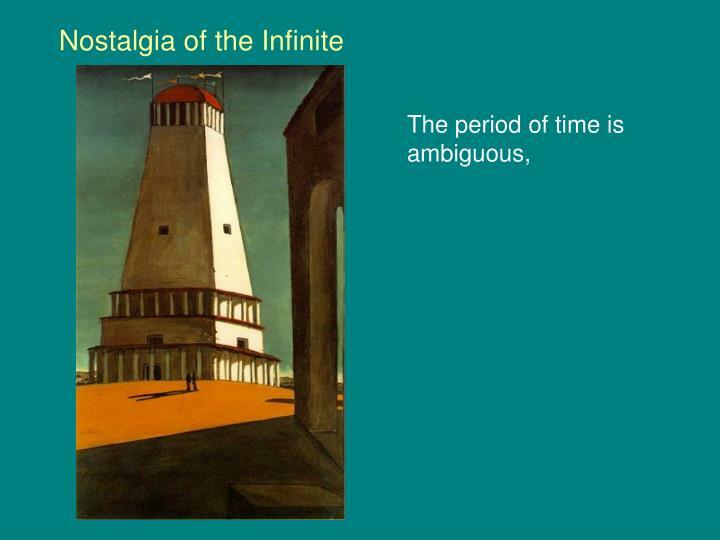 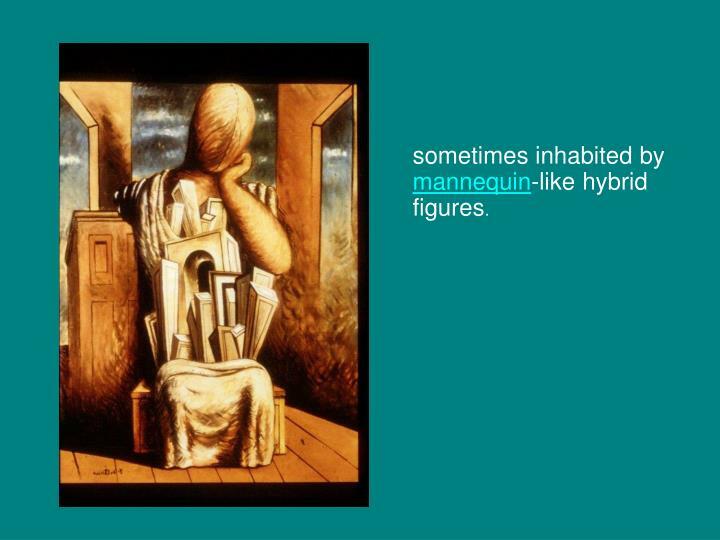 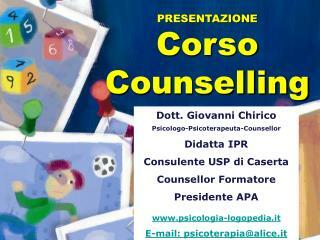 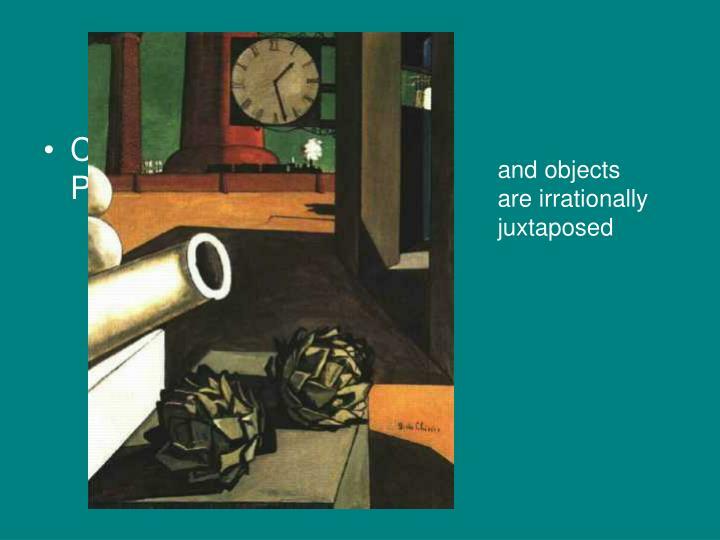 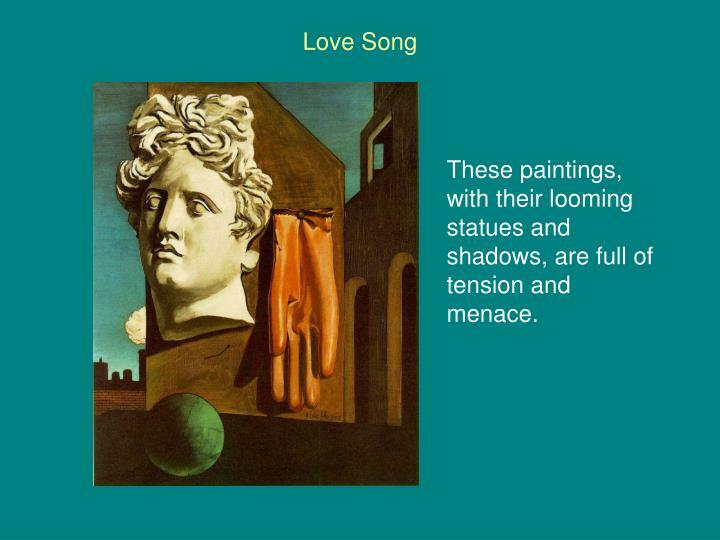 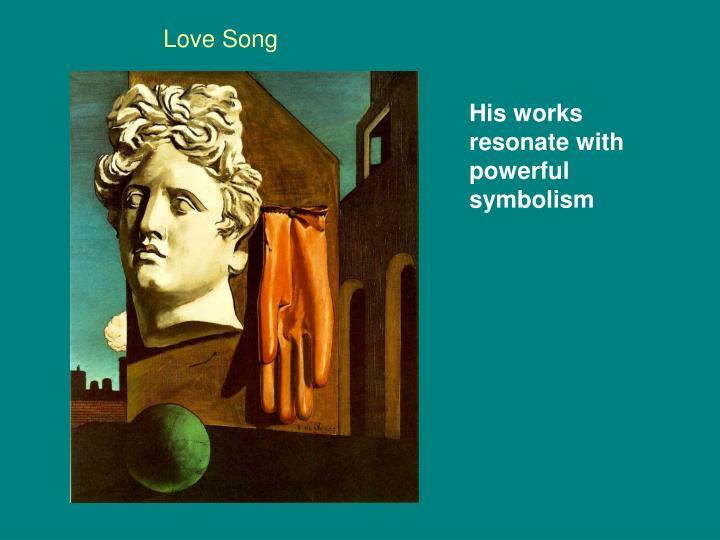 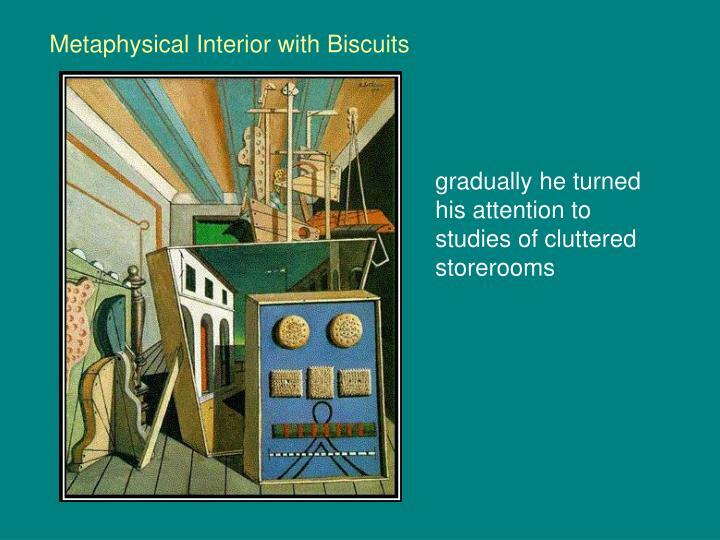 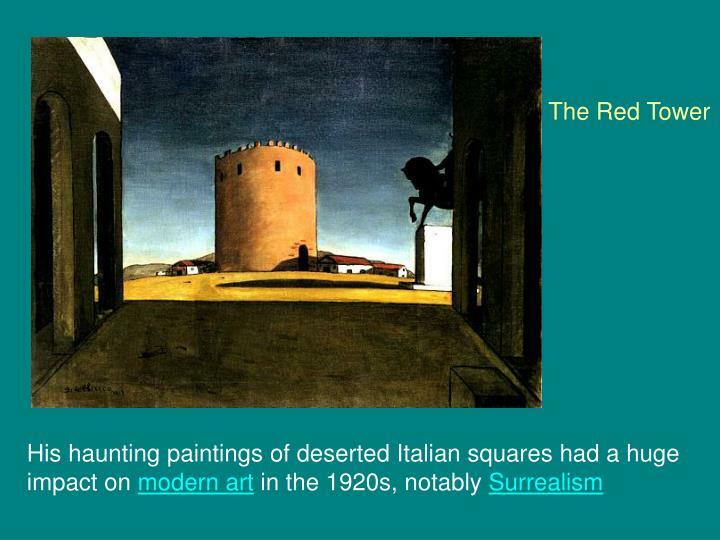 The Italian painter Giorgio de Chirico co-founded the Metaphysical school of painting, just after the First World War,. 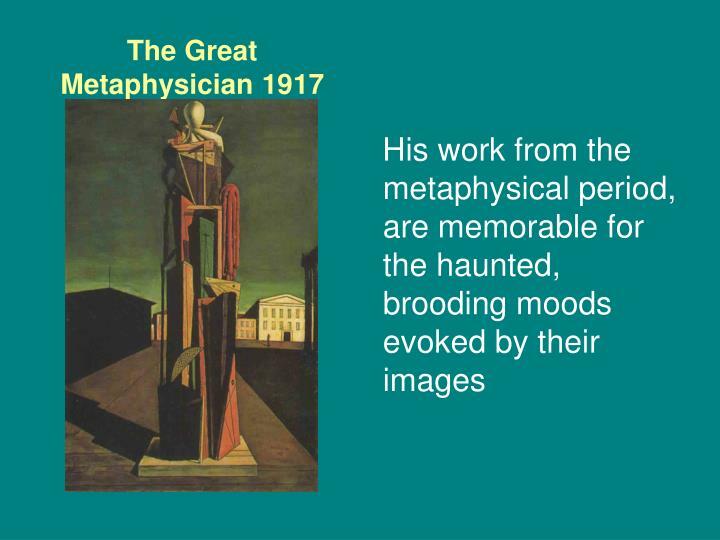 The Great Metaphysician 1917.
sometimes inhabited by mannequin-like hybrid figures. 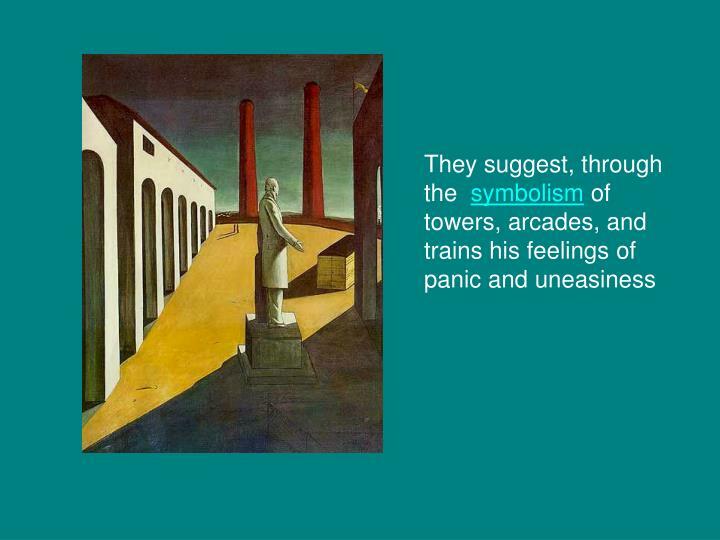 These paintings, with their looming statues and shadows, are full of tension and menace. 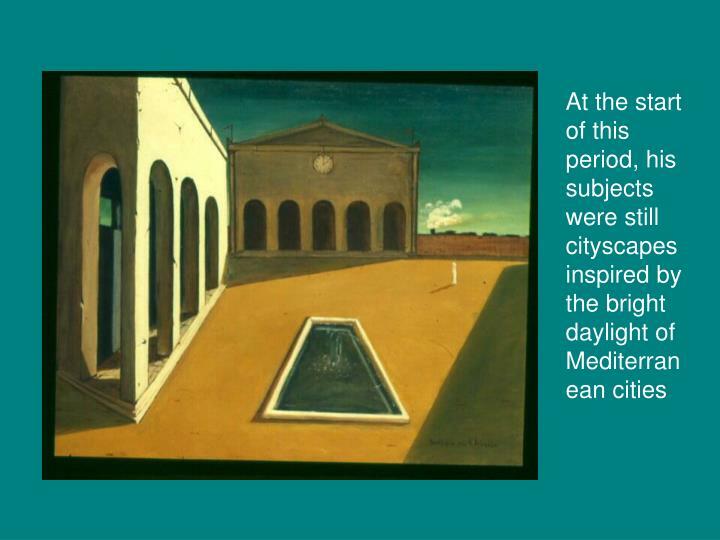 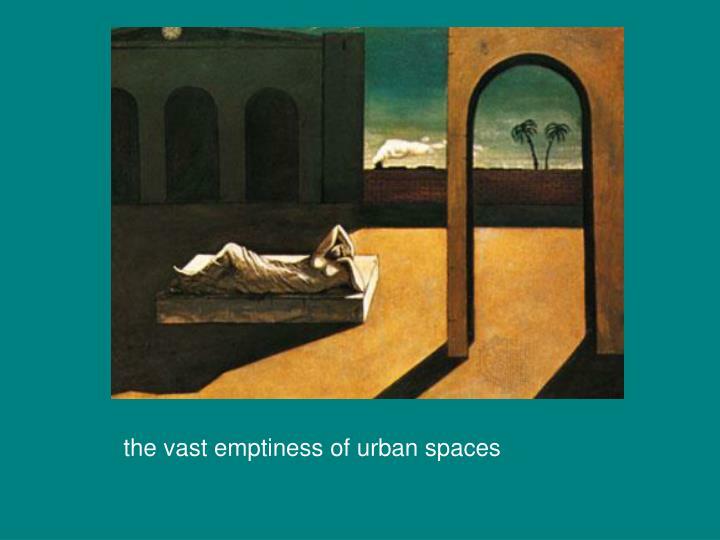 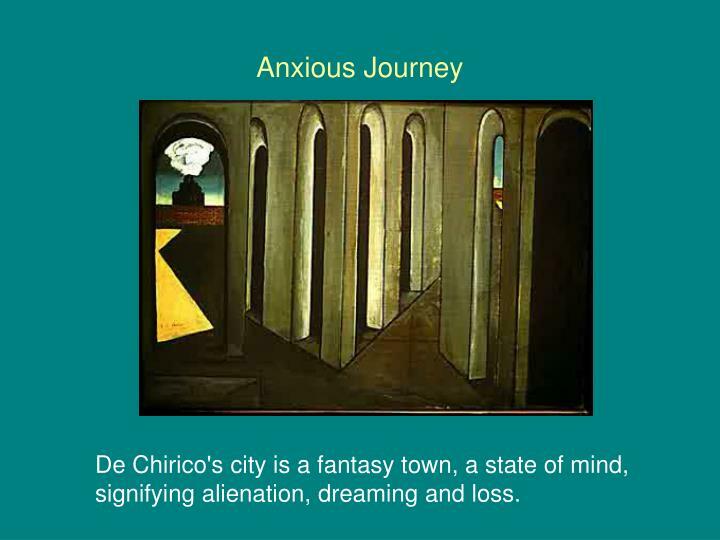 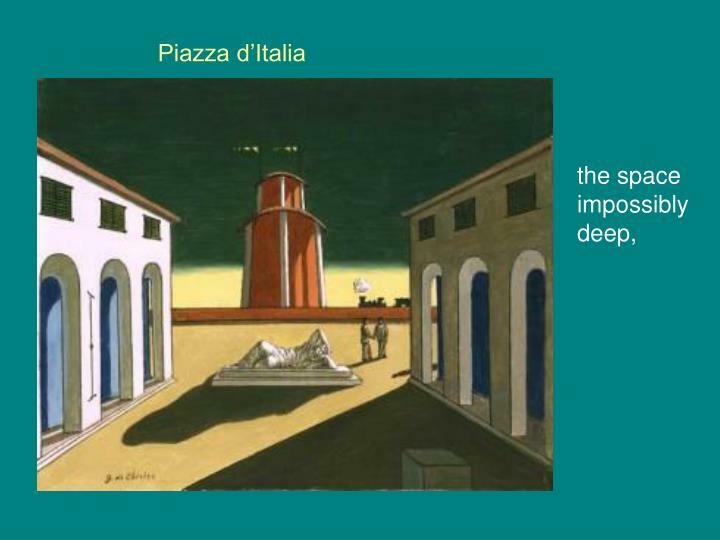 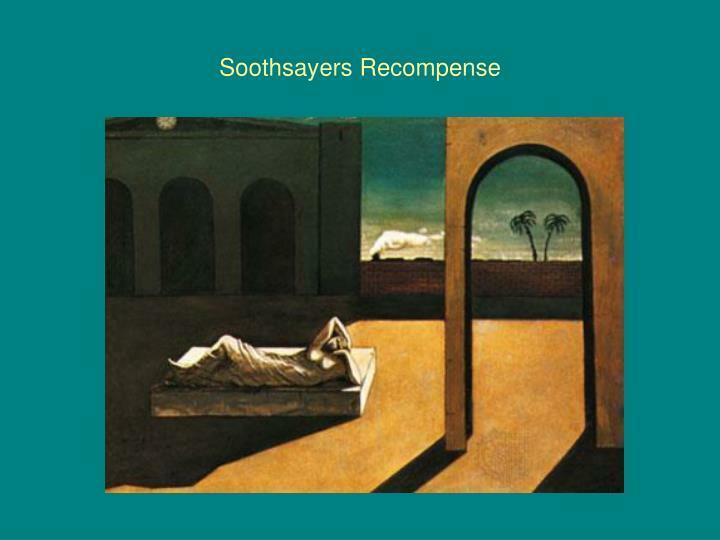 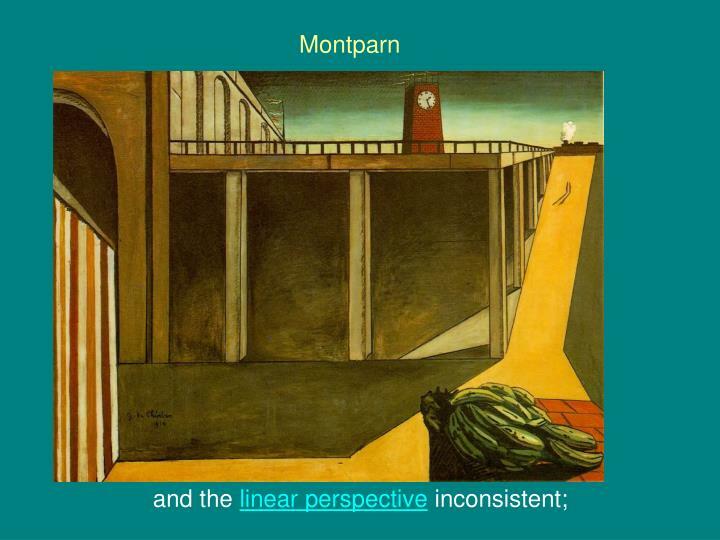 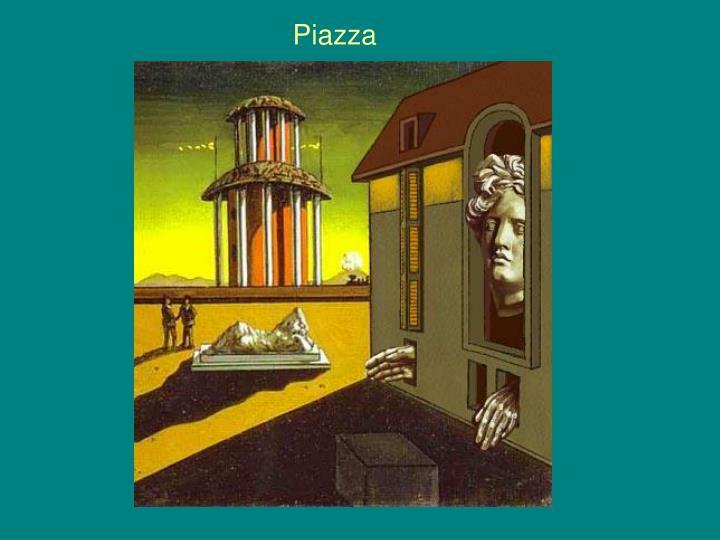 De Chirico's city is a fantasy town, a state of mind, signifying alienation, dreaming and loss. 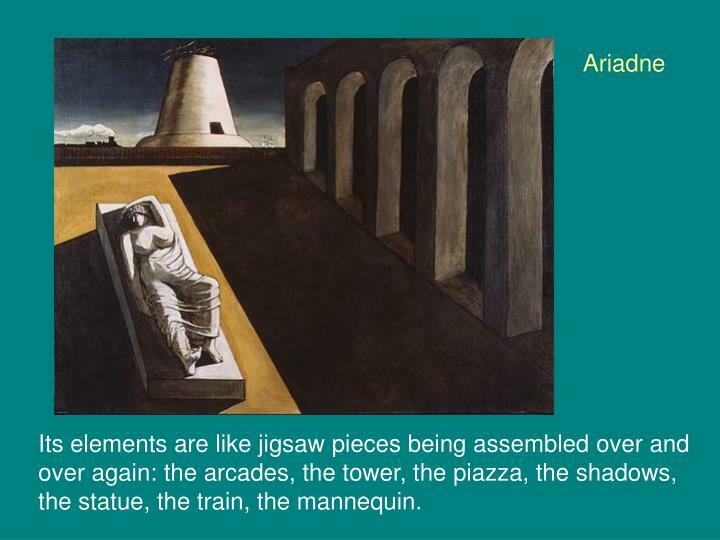 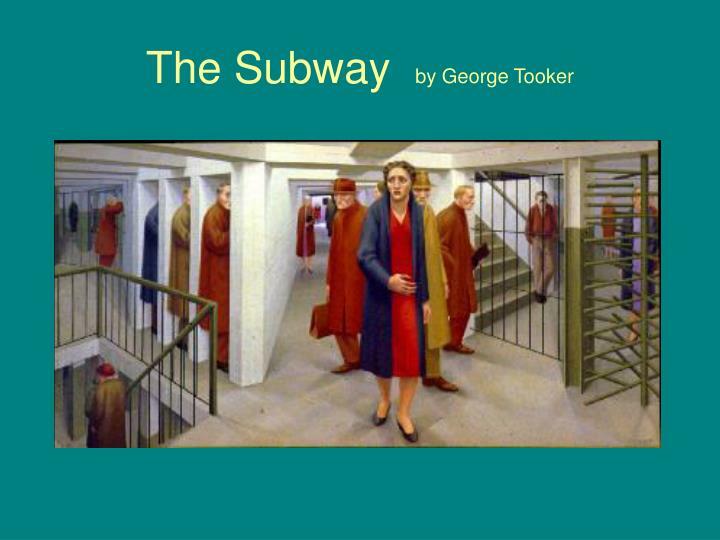 Its elements are like jigsaw pieces being assembled over and over again: the arcades, the tower, the piazza, the shadows, the statue, the train, the mannequin. 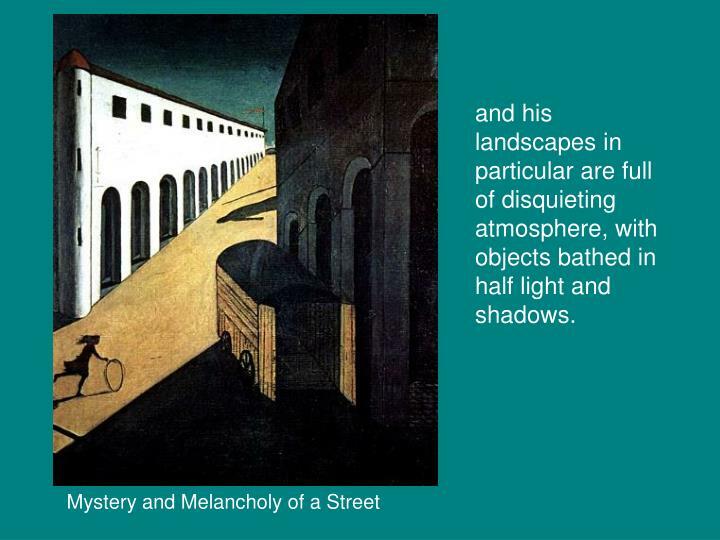 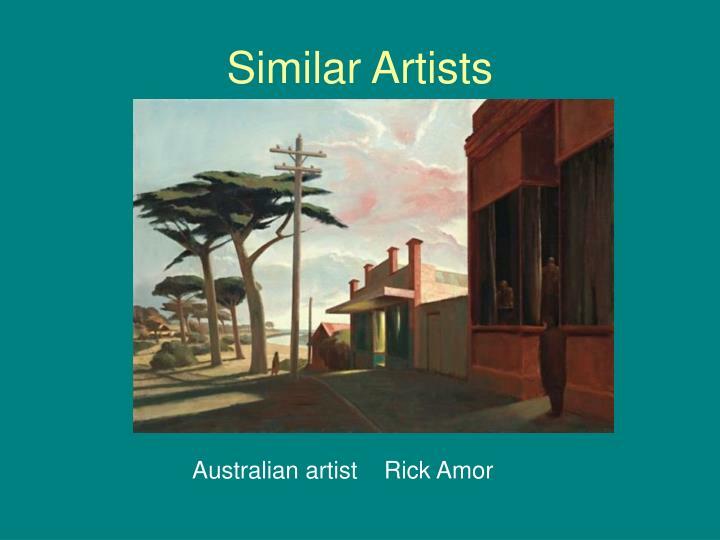 His landscapes in particular are full of disquieting atmosphere, with objects bathed in half light and shadows. 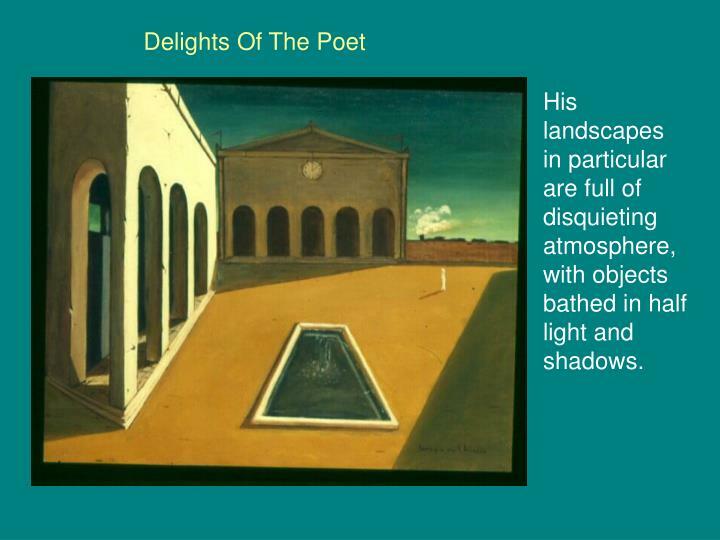 and his landscapes in particular are full of disquieting atmosphere, with objects bathed in half light and shadows. 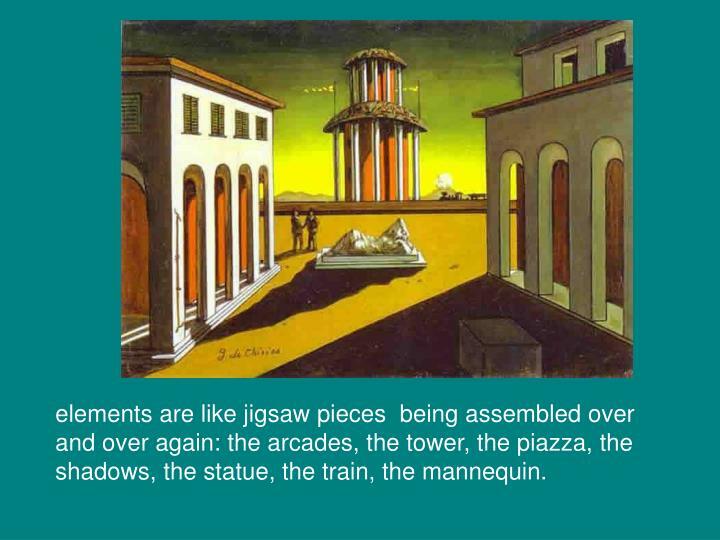 elements are like jigsaw pieces being assembled over and over again: the arcades, the tower, the piazza, the shadows, the statue, the train, the mannequin. 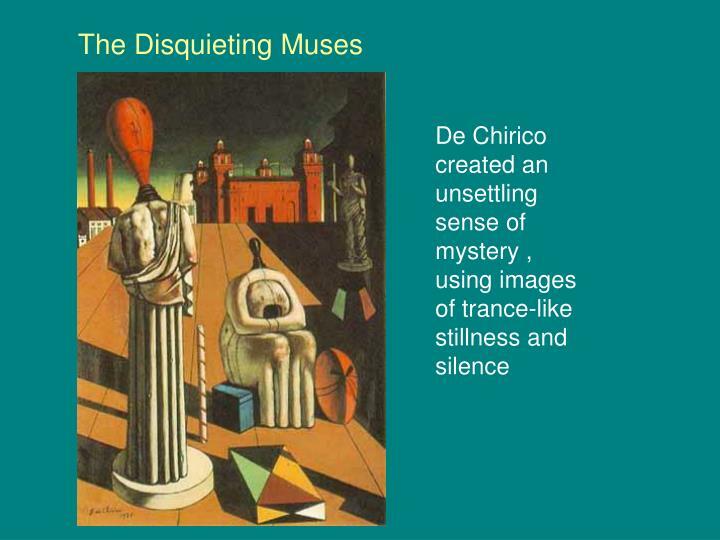 De Chirico began portraying a mysterious and troubling world which was for him as real as the everyday life. 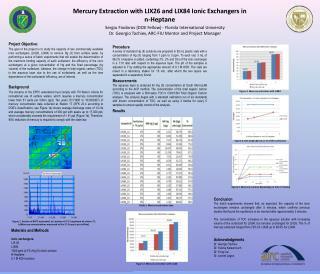 Mercury Extraction with LIX26 and LIX84 Ionic Exchangers in n-Heptane -Sergiu fiodorov (doe fellow) - florida international university dr. georgio tachiev, arc-fiu mentor and project manager. 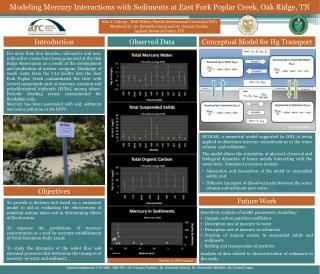 Modeling Mercury Interactions with Sediments at East Fork Poplar Creek, Oak Ridge, TN -. elsa y. cabrejo, doe fellow, florida international university (fiu) mentored by: dr. reinaldo garcia and dr. georgio tachiev applied research center, fiu.